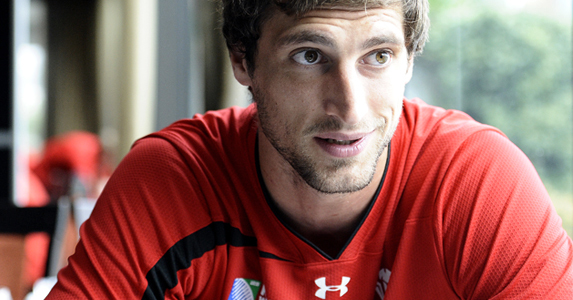 Dragons lock and captain Luke Charteris will be leaving the region at the end of the season to take up a contract with an undisclosed European team. Luke has been at the Dragons since the inception of regional rugby, playing a decade of rugby at Rodney Parade and has been a favourite with both his teammates and the Dragons supporters. “I’ve really enjoyed my time at the Dragons,” he said. “I have had some amazing teammates here and the coaching team have been really good to me. “I have always been very clear that if I was to stay in Wales it would be with the Dragons. This is my region and it has been a really difficult decision to decide to move on. I’m only 28 and I see the Dragons as my home team so after a stint abroad I could perhaps come back a better player to Rodney Parade. But Charteris’ job at Rodney Parade is by no means over with 5 months left of the season left.